You won't have to pay a cent for any of Plants vs. Zombies: Garden Warfare's DLC. Update: Clay has Tweeted that the company has "not announced any plans for microtransactions," in response to my question on whether microtransactions would be included in the game. 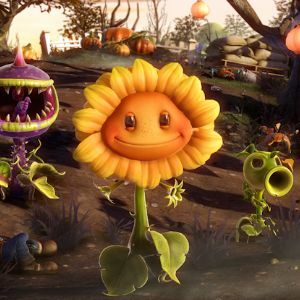 Last month, we heard that PopCap's recently-released third-person spin-off: Plants vs. Zombies: Garden Warfare would not have microtransactions (at launch) and now, PopCap's console marketing lead Gary Clay has confirmed that all future DLC for the title will be free. Players and critics alike lamented Plants vs. Zombies 2's heavy use of paid microtransactions, it seems that PopCap is going out of its way to ensure the same fate does not befall its new title. This is a very smart move from PopCap. Online shooters such as Battlefield and Call of Duty often experience a fracture in their communities when paid DLC map packs are released, as those who do not purchase the packs are unable to play together with those who do. Making the DLC free should ensure the player base remains united. While PvZ: GW may be a Microsoft exclusive for now, PopCap Games producer Brian Lindley gave Sony fans a little hope when he said earlier that "We have nothing to announce at this point, but I always caveat that with the comment that we want to get this game in the hands of as many people as possible."